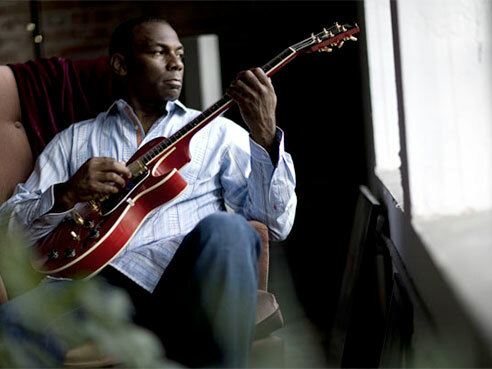 Homegrown jazz guitarist Eric Essix will be performing at burgeoning local jazz hall Perfect Note on August 12-13, 2016 at 8pm (1845 Montgomery Hwy South, Hoover, Alabama). Born in Birmingham in 1959, Essix grandfather began teaching him guitar at age ten and parlayed those lessons into developing his own chops to the point that he was performing in high school talent shows. After graduating from the prestigious Berkley School of Music, he began his recording career in 1988 while signed to Nova Records, releasing First Impressions (1988) and Second Thoughts (1989). Nova would fold soon after, but in 1998 Essix signed to the Warner Brothers imprint Zebra Records where he enjoyed his first taste of national success with the single “For Real”, which peaked at number 5 on jazz charts. His successful run at Warner Brothers ended in 2002, at which time he founded Essential Recordings, the recording company on which he has recorded all of his subsequent albums including The Isley Sessions, a collection of covers of some of his favorite Isley Brothers tracks. Fans of Eric and the Isley’s should give this album a serious listen, paying particular attention to his rendition of the smash 1978 hit “Foot Steps in the Dark”, which is an absolutely incredible rendering. He now performs as leader of the jazz super group (I certainly think so) MOVE>Trio, which includes Grammy nominated keyboardist and producer Kelvin Wooten who has worked with Mary J. Blige, Joe, Babyface, and Jill Scott to name a few, and drummer extraordinaire James “PJ” Spraggins, a talented composer in his own right who has worked with the likes of Ronnie Laws, Roy Ayers, and Frank McComb. In addition, in 2010 he was offered a position at the groundbreaking, state of the art Alys Stephens Performing Arts Center on the campus of the University of Alabama Birmingham, eventually being named Director of Programming, and in 2013 he was named the school’s “Artist in Residence”. Magic City Radar got a chance to speak with Eric ahead of his performance to talk about his own renaissance, his love for his new band, and his excitement about the evolution of Birmingham. MCR: The drummer and keyboardist in MOVE>Trio, who are both fantastic musicians, seem to have lifted your own pitch and tone to new heights. Would you say that’s a fairly accurate assessment? EE: “Oh absolutely. Before I put the group together, I’d reached a point where I was really uninspired. I’d done this since 1984 and I’d just about reached the point where I was tired with the current state of recording and performing. This group has absolutely energized me”. MCR: What is MOVE>Trio and how did it begin? EE: “We actually got together in 2009. I had a regular gig at the Tutwiler Hotel (2021 Park Place, Birmingham, Alabama 35203; 205-322-2100; hamptoninn3.hilton.com) on Tuesday nights from 6 to 8 p.m. One of our members went on tour, Kelvin stepped in, and we immediately clicked. The chemistry was immediate and fantastic. In 2015 we went up to Muscle Shoals, went into the studio, and put our album together. It’s been a great collaboration”. MCR: You’d been a frontman from the beginning, but in the mid 2000’s you began to emerge as a prominent sideman on tours with jazz heavyweights like Gerald Albright, Ronnie Laws, Boney James, Peter White, and Everette Harp. How did that experience shape who are as frontman for MOVE>Trio? EE: “It was real learning experience, man. Whenever Ronnie Laws did anything on the Eastern seaboard he called me. I did that for many years. I played a lot with Peabo Bryson. It taught me how to be a bandleader. I learned what to do and not to do as far as leading a band by watching these incredible artists, and there was plenty to learn (laughing). On the flip side, my solo career suffered as a result of those tours because I wasn’t working my own band. I traveled extensively over Europe, Asia, and throughout the world, and played incredible music with legends but I wasn’t working my brand. And, my solo career suffered for it”. MCR: What do you do in your role as Director of Programming at Alys Stephens? What is an “Artist in Residence”? “In any organization the role of Director of Programming is defined internally, based on that organizations mission. As Artist in Residence, I represent the university in everything I do. I work young people in the community, as a faculty member, a mentor, and a featured performer and it gives me a platform to work with the greater community as a member of the university. What I do as Director of Programming is booking the talent that performs at the center, and executing the contracts that govern their performances. That, of course, has to be negotiated before they perform. Working for the university is a tremendous platform. I’ve learned that when you work for an organization as large as UAB it really lengthens the scope of your influence, which pays big dividends for you and your employer”. MCR: In 2013 you released the album Evolution, dedicated to the victims of the 1963 16th Street Church bombing. In what way has the city of Birmingham evolved in your lifetime that you are particularly excited about? EE: “(beaming) Birmingham is enjoying a renaissance, or rebirth. There is a much more positive energy here in spite of the negative things that happen. I went to college in Boston and I’ve traveled all over the world. The perception of Birmingham is that of fire hoses crushing innocents and vicious dogs attacking minorities, and I think we’ve done a great job as a community to alter that perception for the better”. MCR: Is Essential Recording based in Birmingham, who records there, and what is its footprint? EE: “It is based in Birmingham. I created it when I left Warner Brothers in 2002, after being there since 1998. It’s the reincarnation of a label that my wife and I started years before when I lost a recording deal after a label folded. I called the new label S6. When I started Essential it was with the intention of continuing what I’d started years before. I’ve produced 13 solo albums on Essential, one for CC Phillips, a local artist, and three compilation albums. At one time I had a studio and office downtown. I used to be down there quite a bit”. 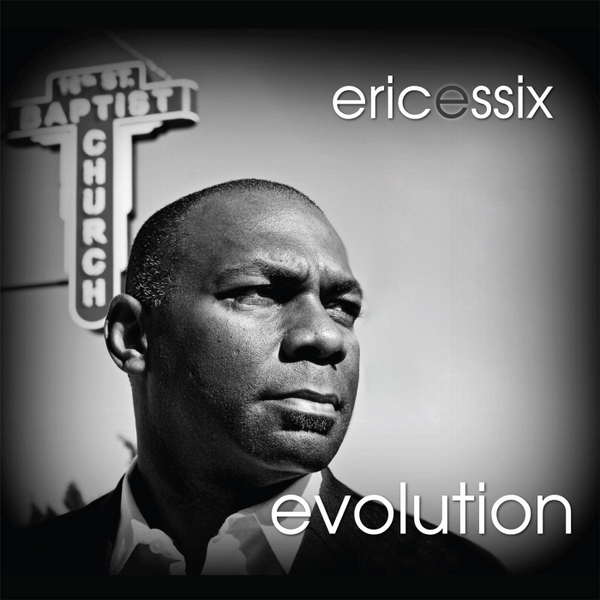 MCR: What’s ahead for Eric Essix and MOVE>Trio? EE: “I’m so excited about where we’re headed. As I said, I’d become quite uninspired with contemporary and smooth jazz and I’d really contemplated not doing anything in 2016. I was bored. In the last year I’ve worked on a contemporary Christian album that features Jason Etheridge of the Zac Brown band, Ruben Studdard, Kirk Whalum (long time saxophonist for Whitney Houston and Grammy award winner in 2012 for Best Gospel Song for “It’s What I Do” featuring Lalah Hathaway), and more. I’m incredibly excited about it. We’re in a really serious time in history, and I asked myself whether I wanted to make a stronger statement than another jazz album. I’d grown up in the church performing gospel music and had that frame of reference. Around the same time, God put this record on my heart. Everyone who’s heard it says it’s a really amazing production, and honestly, it’s the best thing I’ve ever done, the absolute best thing. I’m so proud of it”. MCR: In lieu of where you’ve been and what you’ve done musically, that’s a blessing. How can fans connect with you? EE: “Through my website, ericessix.net. I try to keep it up to date and trending. I’ll have the release date for the gospel album and how fans can get. It will be available on Apple ITunes first. The first song will feature Rueben Studdard and Kirk Whalum. I can be found there and on Facebook”. MCR: Thanks so much for your time, man. EE: “Aw man, thank you. Great questions. I’m happy to have done it”. For more information on the performance call the Perfect Note at 205-986-7280 and www.perfectnotelive.com.